Here at Walnut Hollow we are surrounded by hunters and fishermen. Since we manufacture wood items for crafters, several years ago we started making wood items for hunters and fishermen too. They use them for their “mounts” and they are really beautiful. I wanted to create a crafty type of “mount”, so I used twigs for my antlers rather than real ones. 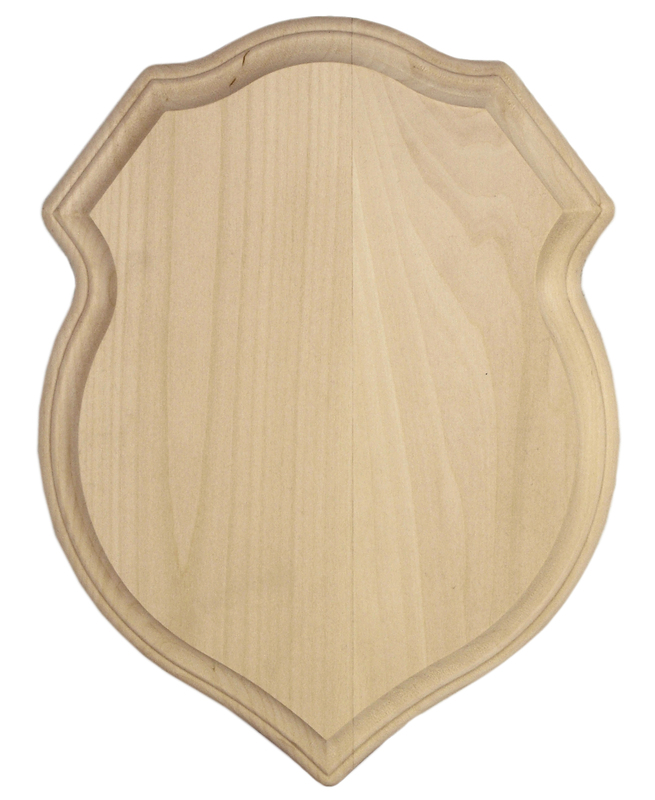 I used this Shield Style Plaque which measures 9” x 12” for the base of my project. 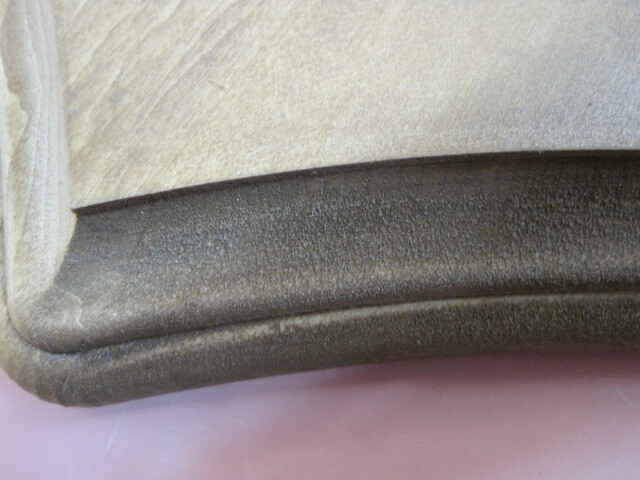 You will need to drill holes with the correct size bit into the Shield Plaque to insert the “antlers”. Use a foam brush to stain the wood or you could paint it with any color of acrylic paint also. Let the Plaque dry, then spray it with a protective finish of 2-3 coats of satin varnish. 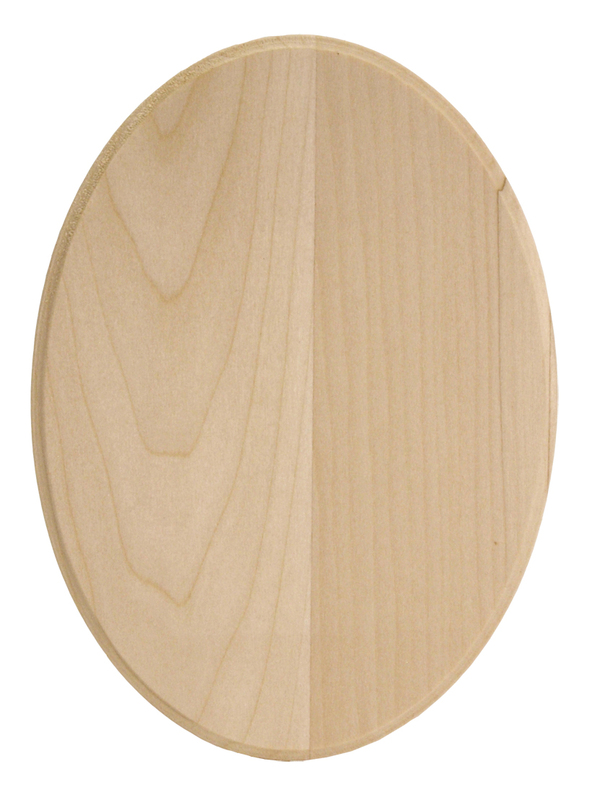 While the Shield Style Plaque varnish is drying, prepare the center oval. 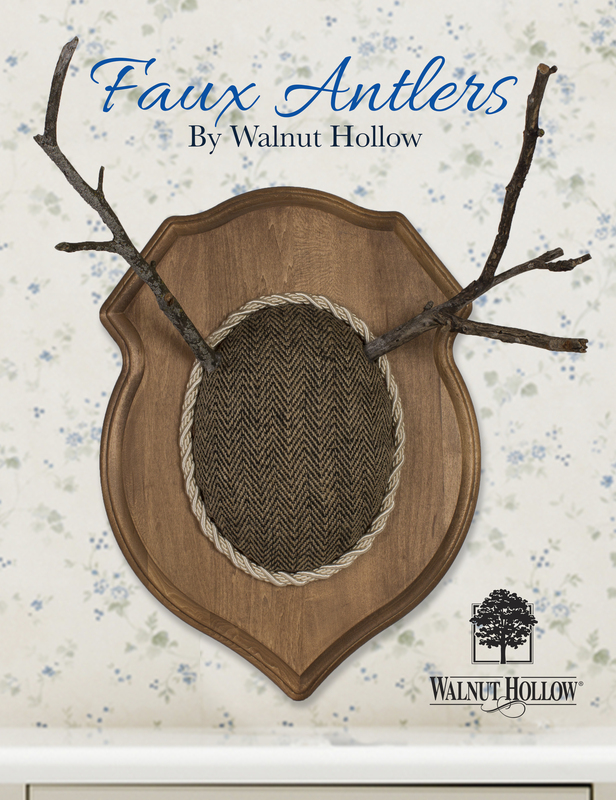 I used a small oval basswood plaque (5″ x 7″) to hold the “twig antlers”. Since I’m a quilter also, I always have small pieces of batting available. I layered pieces of batting on the oval plaque then covered the batting with a piece of burlap and taped the burlap in place on the back of the small oval plaque. If you look closely, you can see where I placed a few tacks on the side of the burlap to secure it to the wood oval plaque. 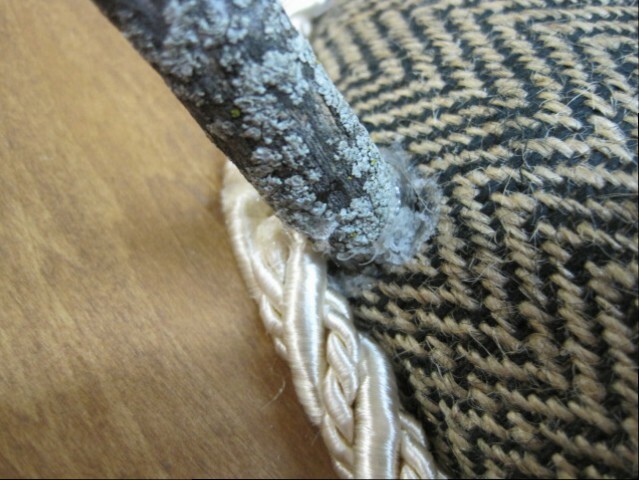 Adhere the burlap covered plaque onto the Shield Plaque and the “antlers” into the drilled holes. 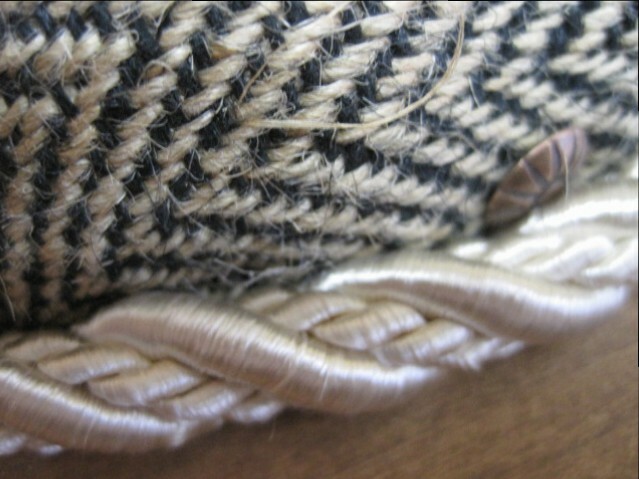 Use decorative cording and glue to add a trim for a nice finished look around the edge of the oval plaque. 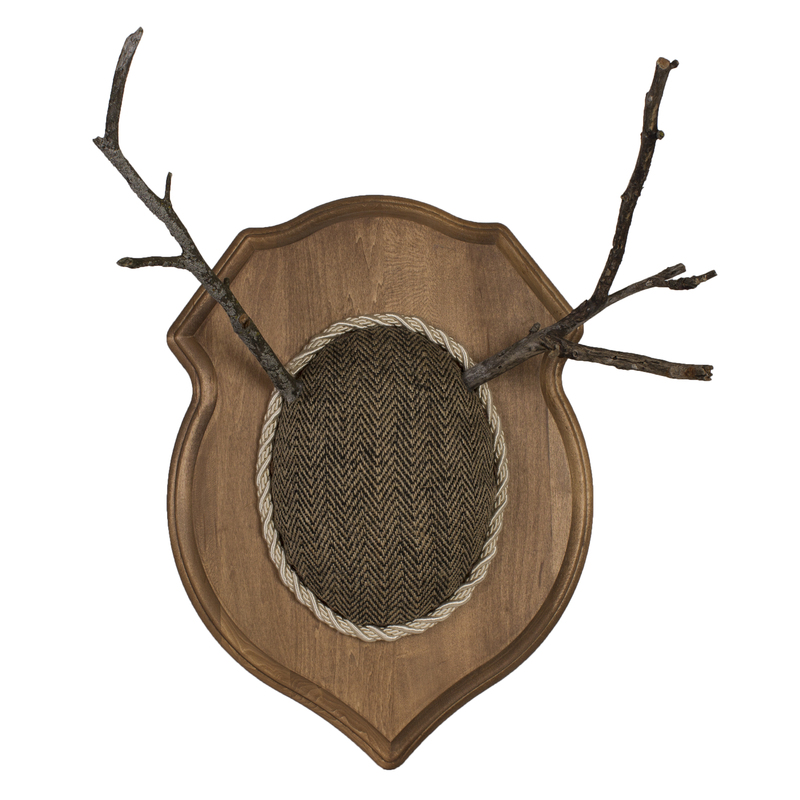 Your fun “Faux Antlers” will add a conversation starter to any home décor!